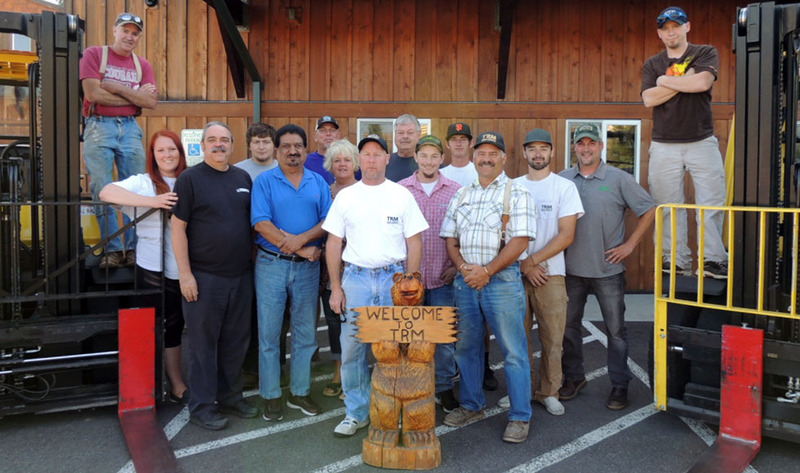 We are a full-service lumberyard and hardware store serving homeowners and contractors. Our goal at TRM is to provide all of our customers with the best service and products available. We believe that there is no customer too small or too big for us to handle. We are committed to carrying the fullest and most extensive line(s) of building products of any lumberyard. Which is complemented by our knowledgeable staff for our customers to partner with to help make their dreams become reality. Whether you are tackling a home improvement project or a whole new home, TRM will help you achieve the results you are after! TRM was started in 1969 in Black Diamond with a few small buildings right off of Highway 169 in front of Palmer Coking Coal CO, (www.palmercc.com). As our customer base grew, we realized that our yard size needed to increase, as well. In 1975, our owner Evan Morris decided to relocate the lumberyard to Four Corners to ensure that our product lines could increase to match the needs of our customers. This move turned out to be just what our company needed so that the expanded selection of building materials could allow our customers to make TRM a one-stop-shop on their way to the jobsite. In 2006, after Evan’s passing, his son John who had been managing the company since 2000, took over the reins as the new owner. John believes in old-fashioned service and focus’s on earning his customer’s respect through dedication to service and quality. Come on in and see us and soon you will feel like family. In December 2011, TRM relocated just east of our previous location. Here you will find all of the items we carried before along with several new product lines. Our parking lot is completely paved and virtually all of our inventory is under cover. We invite you to stop in a check us out!